DR JOHN MacInnes is the foremost living authority on the oral traditions of Scottish Gaeldom. 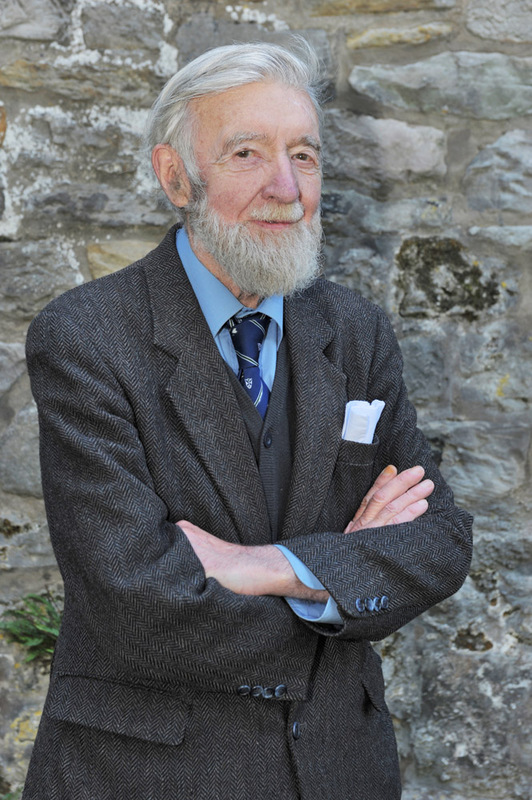 He has field-collected, researched and written about Gaelic song and folklore for more than 50 years, but what utterly underpins his expertise is the fact that he grew up steeped in the Gaelic language and culture, leading him to be lauded as “the last of the native scholars of Gaelic”. John was born in Uig, Lewis, the son of a Church of Scotland minister, Ruairidh MacInnes, and his wife Morag, both of whom spoke rich, idiomatic Gaelic. When John was eight the family moved to the island of Raasay, where he immediately felt at home. Getting to know his father’s extended family on neighbouring Skye, several of whom were Gaelic musicians, singers and tradition bearers, would have a profound impact on him as he grew up, as did the landscape of Raasay, the south end of which, unlike the Spartan beauty of Lewis, was covered with mixed woodland – until the Second World War, that is, when it was all felled and replaced with forestry plantation. It gave John a love of trees and woodland he would retain all his life. Attending Portree Secondary School, where like many island children he had to board during the term, he found that the entire school regime was in English, with Gaelic not even spoken in the dorm. His only opportunity to use his native tongue was when he visited a house in Portree where his sister was boarding and he credited its owner, a Mrs Beaton, with keeping his Gaelic going during secondary school education. His school experience would later prompt him to observe that “education brought a great deal more destruction upon the Gaelic language than the clearances ever did”. Nevertheless, he did well at Portree, becoming Intermediate School Dux and gaining Highers in Latin, Greek, English and Art. He attended Edinburgh University from 1948 to 1955, studying English language and literature and philosophy, winning the J Logie Robertson Prize for English, the Medal for Moral Philosophy and the James Seth Prize in Philosophy. The Gatty Scholarship, awarded after finals, enabled him to research “The Gaelic Element in Lowland Scots”. His interest in linguistics continued into his National Service, during which the Gordon Highlanders posted him with the Intelligence Corps to Cyprus, where he took the opportunity to learn modern Greek and was fascinated by parallels he could detect between the Klephtic ballads he heard there and the Gaelic panegyrics. Returning to Edinburgh in 1958, he joined the still emerging School of Scottish Studies (also working for a while in the department of English), and renewed his acquaintance with many of the leading poets and thinkers in Edinburgh at the time. He already knew Gaelic poet Sorley Maclean, and his brother Calum Maclean, from his years in Raasay, Other poetic acquaintances included Hugh MacDiarmid, George Campbell Hay, Sydney Goodsir Smith and Norman MacCaig – with whom he struck up a particular friendship. All of this would inform his thinking, both as a scholar and as a champion of Gaelic culture. As Virginia Blankenhorn writes in her introduction to Croabh nan Ubhal: A Festschrift for John MacInnes (Scottish Studies, Vol.37), “in this intellectual ferment, John MacInnes matured as a creative and imaginative scholar, committed to championing the Gael’s right to learn about and take pride in their cultural heritage”. In 1964 he was a awarded a scholarship to study the ballads surviving in combined dance and song form in the Faroe Islands, and in 1974 gained a PhD for a thesis on Gaelic poetry which attracted much attention. Not only was he generous with his time and knowledge to students and young singers, but was also became a frequently heard voice on BBC Radio nan Gàidheal. From the early Fifties, he collected hundreds of Gaelic songs, music, folk tales, historical legends and other items originating in areas as diverse as St Kilda and Perthshire, the Isle of Arran and the boundaries of Caithness and Sutherland, all now preserved in the School of Scottish Studies archives. As early in 1953, immediately after graduating from Edinburgh University, he had borrowed a tape recorder from the School of Scottish Studies and headed for Skye – where, among many others, he recorded Peigi Bennett, the mother of the folklorist and singer Margaret Bennett. Among his contributions to scholarship, John has argued that the so-called “cliches” of Gaelic song poetry form a rhetorical system that expresses the Gaelic view of the world. He has also suggested that at least some of the melodies of waulking songs derive from a combined art form of dance and song and that what he calls “clan sagas” show stylistic resemblances to the famous Icelandic sagas, a legacy of the medieval Norse settlements of north-west Scotland. He was an external examiner at several universities, including Oxford, where he also gave the O’Donnell Lectures. 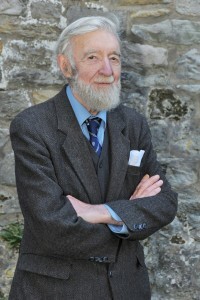 He retired as a senior lecturer at the School of Scottish Studies in 1993, and in 2006, his collected essays, Dùchas nan Gàidheal – “Traditions of the Gael”, edited by Michael Newton, won the Saltire Prize for Best Researched Book of the Year by the Saltire Society and the National Library of Scotland.